Please be advised that Muzvare Betty Makoni does not solicit for testimonies. All testimonies given below were posted voluntarily on various social media. 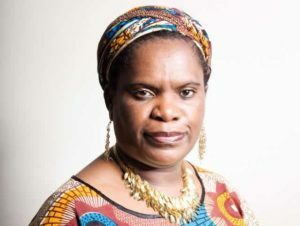 Muzvare Betty Makoni believes that when you do good you don`t have to force people to say. It’s with great honour and pleasure that I write to you this afternoon, on behalf of Global Visionary Women Network and Voice of Nations, and I hope you are doing well this afternoon and my email meets you in optimal health. We could never be able to thank you enough for attending and speaking at our 1st Global Convention at The IFB 2014, and contributing enormously in making it a huge success! We are very grateful, and would like to express our profound and heartfelt gratitude to you for accepting and honouring our humble invite to come and speak at the Convention. We very much honoured and cherished every moment and precious time you spent with us on the day, and would like to say thank you. We will be sending you some photos of the convention in the coming days. We were very pleased with the overall content and impact of the convention and look forward to working with you to impact and transform more lives within our community and beyond. I also look very forward to meeting you again, and discussing more about future plans and ways in which we could work together and support one another. Thank you so much for your time, the resources and wealth you brought to the convention which made it a huge success! Thank you so much for contributing your time, knowledge and experience to People Power 2014. Your closing speech was amazing, powerful, moving – a source of real inspiration for everyone there – and it was perfect for a day that was all about people speaking out and achieving change. Your remarkable story touched on a number of issues that are so important for campaigners – from sheer grit and determination to the ‘big small things’ that, on the surface, may not seem that important but actually go a long way in challenging and changing hearts and minds. These are such important lessons for anyone trying to tackle local, national and global issues, as you have done so successfully. Thank you again for being one of the people powering PP14 and talking to us with such honesty, passion and wit. I wanted to write to say thank you so, so, much for coming to join us at Women’s Day on Saturday. I know it has been a very difficult week for you, but I am very grateful that you were able be with us, despite this. I can’t tell you how much our guests and staff enjoyed having you there. It was a huge privilege for us. We’ve received so much positive feedback and guests really have gone away inspired and encouraged by your words. You made such an incredible impression. I hope the coming weeks will be easier for you and family. Myself and colleagues wish you the very best. We hope you will join us again in the future. I am happy i had a chat with Muzvare-Princess Betty Makoni ,she was there for me when i needed University fees,she is part of my success story,to me she is a God sent Angel.Yeah you dont know this my friends ndakabva nekure.I remember my joy when i got that cheque for registration fees 7 years ago.Some people are brought into our lives to make our dreams come true and for us to have testimonies and all glory to be given to the Lord.Thanks Muzvare may the Lord reward you for the good work. I’d like to thank you again for gracing us on such a special occasion of Day of the Girl Child. Your words of wisdom is had a huge and positive impact on the girls and many have taken on a new attitude and refreshing aura. Dear Mrs Makoni, Betty, it was an honour to meet you. I met a woman, who is great and humble at the same time. A real CNN hero! You are inspiring me and i hope to meet you again in future and will definitely read your book. Thank you for speaking on the event of Patricia Tsiga Chipungu and Butterfly Publishers the journey of using the stepstones you mentioned, started after your official launching of the Pick me up book for uplifting women. Thank you! Zikomo kwambiri! Reading “never again” author Muzvare-Princess Betty Makoni in a Dutch train every morning and afternoon. I got emotional after the first chapters. We azungu or vazungu don’t really know how life can be in Africa. Reading all those books is teaching me more and more, page by page..
Noweline Kandiwiri Djafari That’s true, we were empowered while we were young rural girls . Because of that I will never be the same. Equipment for life. The message below was posted on Muzvare Betty Makoni Facebook page by a highly respectable woman who supports orphaned children in Kenya and who is a chapter President of Rotary Club in UK. Muzvare Betty Makoni thanks you so much Sandra for acknowledging her private support to women of all nations round the globe. Below is a testimony given by a girl aged 11 who was saved from being raped by her dad in Zimbabwe. Muzvare Betty Makoni personally rescued her and now she has grown up to be a young woman with a career. My group and I are working on a school project for Speech class called Night of the Notables at our high school in USA.We have to pick a notable person who we think is a leader for a cause. After looking up different people who we wanted to do our project on, we decided that we wanted to use you. We were inspired by your story and your message. Muzvare Betty Makoni is honoured by the testimonies given after her motivational speeches by Our Lady`s convent girls.